•	Prof of Pediatrics, Mansoura Faculty of Medicine, Mansoura, Egypt. •	Vice President, Mansoura University for Education and Students’ Affairs. •	M SC (Master of Pediatrics), 1990, Mansoura Faculty of Medicine. Excellent degree. •	MD (Doctorate of Pediatrics), 1994, Mansoura Faculty of Medicine. 1. Teaching the curriculum of pediatric nephrology to medical students, residents and fellows. 1. AM Bakr, A Hammad, A Sarhan, and T Amer. Acute renal failure as a manifestation of tethered cord syndrome. 1st Pan Arabic Pediatric Nephrology Conference. Cairo, Egypt. March 1996. 2. A Hammad, AM Bakr, A Sarhan. Acute renal failure in nephrotic syndrome. Case reports. 1st Pan Arabic Pediatric Nephrology Conference. Cairo, Egypt. March 1996. 3. AM Bakr, M Khashaba, E Abo Hashem, A Abdalla, M Barac-Nieto, and A. Spitzer. Renal functional disorder in children with liver cirrhosis: role of renal prostaglandins. The 31th Meeting of European Society for Pediatric Nephrology. Laussane, Switzerland. August 1996. 4. AM Bakr, A Hammad. A Sarhan, T Amer, and F. Al Husseini. Congenital Nephrotic syndrome. Study of eight cases. 16th Annual Meeting of Egyptian Society of Nephrology. Cairo, Egypt. February 19-21, 1997. 5. Z Al-Morsy, AM Bakr, L Abdel-Naby, O Salama E Zanati Serum IL-1 beta levels in children with steroid-sensitive nephrotic syndrome. 24th conference of the union of the middle-eastern and Mediterranean pediatrics societies. Nice, France, November 20-22, 1997. 6. A Hammad, AM Bakr, M El-Hagar, A Mansour, F El-Chenawi, H El-Domyati A Sarhan Inetrleukin 2, Inetrleukin 4 and Inerferon gamma in primary nephrotic syndrome.. The 11th Congress of the International Pediatric Nephrology Association. London, UK. September 12-16, 1998. 7. AA Sarhan, AM Bakr, A Hammad and MR Yousef. Pattern of nephrotic syndrome in East North Part of Egypt in the last 5 years. The 32nd Annual Meeting of European Society for Pediatric Nephrology. Prague, Czech Republic. September 2-5, 1999. 8. AA Sarhan, AM Bakr, F El-Chenawi, MA Shokeir, AM Hammad, MR Yousef and MA Seleim. The 32nd Annual Meeting of European Society for Pediatric Nephrology. Prague, Czech Republic. September 2-5, 1999. 9. AM Bakr, AF Abdalla, H El-Marsafawy and EM Abu-Hashem Plasma endothelin I level in children with liver cirrhosis. The 6th National Conference & the 2nd Pan-Arab Conference of the Egyptian Society for Pediatric Gastroenterology and Nutrition in collaboration with the 1st Conference of Pediatrics Dept., Assuit University. March 1999. 10. AM Bakr, AA Sarhan, A Hammad and MR Yousef. Renal tubular disorders in north east Egypt: 5 years study. 18th Annual Meeting of Egyptian Society of Nephrology. Cairo, Egypt. March 9-12, 1999. 11. M Zedan, A El- Chennawy, A Sarhan, AM Bakr, KE. Shafeek. Cytokine Gene Expression and Adhesion Molecules Profile in Children with Different types of Allergy. The 19th annual conference of Dept. of Pediatrics, Mansoura Faculty of Medicine Mansoura, Egypt. May 1999. 12. AM Bakr, AA Shaltout, AM Hammad, AA Sarhan, and MA El-Latef Oxidative status in children with post-streptococcal acute glomerulonephritis (PSAGN). The 34th annual meeting of the European Society for Pediatric Nephrology (ESPN). Helsinki, Finland. June 18-20, 2000. 13. AM Hammad, AA Sarhan, AM Bakr, HE Abdel-Hady, and FA El-Chenawi Soluble Intracellular Adhesion Molecule 1 (sICAM-1) in children with post-streptococcal acute glomerulonephritis (PSAGN). The 34th annual meeting of the European Society for Pediatric Nephrology (ESPN). Helsinki, Finland. June 18-20. 2000. 14. A Abdalla, H El-Marsafawy, M Abu El-Kheir, A Abd El-Basset, Tarek Al-Dosoky. Hepatopulmonary syndrome in children with cirrhosis: Echocardiographic Findings. The 8th United European Gastroenterology Week. Brussels, Belgium. November 25-30, 2000. 15. AM Bakr. Steroid-resistant nephrotic syndrome: Where do we stand? The II congress of the Egyptian Society of Pediatric Nephrology and Transplantation. Cairo, Egypt. February 22-23, 2001. 16. AM Bakr, M Shokeir, F El-Chenawy, F El-Husseni, A Abdel-Rahman, R El-Ashry. Tumor necrosis factor-alpha (TNF-) production in from cultured peripheral blood mononuclear cells (PBMC) in children with primary nephrotic syndrome (PNS). The 12th congress of the International Pediatric Nephrology Association. Seattle, USA. September 3-5, 2001. 17. Ashraf Bakr, Hanem El-Tahan, Ali Shaltout, Osama Saad, Renata Mohamed. Prognostic value of serum levels of sTNFR-1, sIL-6R, INF- in infants and children with sepsis. The 23rd international congress of Pediatrics. Beijing, China. September 9-14, 2001. 18. Ashraf Bakr, Mohamed Khashaba, Salah Agha, Mohamed Othman. Value of serial increments of CRP in early diagnosis of neonatal sepsis. The annual congress of Mansoura Faculty of Medicine. Mansoura, Egypt. October 31-November 2, 2001. 19. Ashraf Bakr, Ali Sheltout, Osama Elbaz, Gada El-Samanody. Study of serum transferrin receptors and serum erythropoietin in children with chronic renal failure. The annual congress of Mansoura Faculty of Medicine. Mansoura, Egypt. October 31-November 2, 2001. 20. AM Bakr, Tarek Dosoky, Gehan Fathy, Mohamed Atwa, Magdy Zedan, Manal Fathy, and Zakaria El-Khaiai. Eosinophil cationic protein in children with nephrotic syndrome. 5th annual congress of Dept. of Pediatrics, Ain Shams University. Cairo, Egypt. March 7-8, 2002. 21. AM Bakr. Pattern of nephrotic syndrome in Mansoura Pediatric Nephrology Unit. The III congress of the Egyptian Society of Pediatric Nephrology and transplantation. Cairo, Egypt. April 24-25, 2002. 22. Khater M, El-Mogy S, Abd El-basset AM, El-Naggar S, Farid M, Amer M. AHDH: cognitive behavior changes versus MRI morphology of corpus callosum: A correlative study. The 21st conference of Dept. of Pediatrics, Mansoura Faculty of Medicine. Mansoura, Egypt. July 26-27, 2002. 23. Ashraf Bakr, Samia Hawas, Sabry Slem, Abdel-Hamed Abdel Moniem, Tarek Ghatab, Mohamed Tawfik. Gene expression of 5-lipoxygenase and leukotriene A4 hydrolase in children with primary nephrotic syndrome. The 27th conference of the union of the Middle-Eastern and Mediterranean Pediatrics Societies. Alicante, Spain. September 19-21, 2002. 24. Ashraf Bakr. Lupus nephritis, Mansoura Experience. The IV annual congress of the Egyptian Society of Pediatric Nephrology and transplantation, Cairo, Egypt. April 24-25, 2003. 25. Ashraf Bakr, Tarek Dosoky, Gehan Fathy, Mohamed Atwa, Magdy Zedan, Manal Fathy, and Zakaria El-Khaiai. Eosinophil cationic protein and skin prick tests in children with steroid-responsive nephrotic syndrome. The world congress of nephrology. Berlin, Germany. June 8-12, 2003. 26. Amr Sarhan, Farha El-Shennawy, Tarek Eldosouky, Ashraf Bakr, Ayman Hammad, Hussany Mahmoud. Study of interlukin-12 and interlukin-13 in children with primary nephrotic syndrome. The world congress of nephrology. Berlin, Germany June 8-12, 2003. 27. Ashraf Bakr, Magdy El-Zeny, Samir Abu Al-Hassan, Amr Sarhan. Bone mineral density and bone turnover marker in children with primary nephritic syndrome. The world congress of nephrology. Berlin, Germany. June 8-12, 2003. 28. Mohamed Ragab, Amr Sarhan, Ashraf Bakr, Ayman Hammad, Ahmed Refay. Maintainance intervenous iron sucrase in children under regular hemodialysis. XLI-CRA EDTA Congress. Lisbon, May 15-18, 2004. 29. Ashraf Bakr. Bone mineral density and bone turnover markers in children with primary nephrotic. The 13th congress of International Pediatric Nephrology Association. Adelaide, Australia, August 29- September 2, 2004. 30. Ashraf M Bakr, Farha El-Chenawi, Fatma Al-Husseni. HLA alleles in frequently relapsing steroid-dependent and-resistant nephrotic syndrome in Egyptian children The 11th anual congress of Dept. of Pediatrics, Ain Shams University. Cairo, Egypt. March 14-15, 2005. 31. Ashraf M Bakr, Farha El-Chenawi, Fatma Al-Husseni. HLA alleles in frequently relapsing steroid-dependent and-resistant nephrotic syndrome in Egyptian children. 39th annual meeting of the European Society for Pediatric Nephrology, Istanbul, Turkey. Seotember 10-13, 2005. 32. Ashraf M Bakr. Predictors of adverse outcome of lupus nephritis in Egyptian children. 39th annual meeting of the European Society for Pediatric Nephrology, Istanbul, Turkey. September 10-13, 2005. 33. Ashraf M Bakr. Epidemiology treatment and outcome of childhood systemic lupus erythematosus in Egypt. 7th congress of International Society of Tropical Pediatrics. Sharm El-Sheikh, Egypt. November 27- December 1, 2005. 34. Ashraf M Bakr. Low Turnover Bone Disease in Egyptian Children with Acute Leukemia. The Fourth International Congress of the Egyptain Society of Pediatric Hematology Oncology (Esph). JW Mariott, Cairo, Egypt, 30-31 March, 2006. 35. Ashraf M Bakr. Psychiatric disorders in a sample of Egyptian children with chronic renal failure. The 40th annual meeting of European Society for Paediatric Nephrology. Altavilla Milicia – Italy, 7-10 October 2006. 36. Ashraf M Bakr. Behavioral profile in a sample of Egyptian children with chronic renal failure. The 40th annual meeting of European Society for Paediatric Nephrology. Altavilla Milicia – Italy, 7-10 October 2006. 37. Ashraf M Bakr. The characteristics of focal segmental glomerulosclerosis in Egyptian children: Single center study. The 40th annual meeting of European Society for Paediatric Nephrology. Altavilla Milicia – Italy, 7-10 October 2006. 38. Ashraf M Bakr. How Much Does the Kidney Suffer in Childhood Malignancies? The 9th Congress of the African Association of Nephrology (AFRAN) & 2nd Congress of the Sudanese Society of Kidney Diseases & Transplantation (SSKDT) in Collaboration with the International Society of Nephrology (ISN). Khartoum-Sudan, 2-5 February 2007. 39. Ashraf M Bakr. NPHS2 Mutations in Egyptian Children with Non-Familial Steroid-Resistant Nephrotic Syndrome. The 14th Congress of the International Pediatrics Nephrology Association. Budapest, Hungary, 31 August-4 September, 2007. 40. Ashraf M Bakr. HLA-DRBI* Alleles in Egyptian Children with Post-streptococcal Acute Glomerulonephritis. The 14th Congress of the International Pediatrics Nephrology Association. Budapest, Hungary, 31 August-4 September, 2007. 44. Ashraf M Bakr, Atef El-Mougy, Amr Sarhan, Ayman Hamad, Ahmed Elrefaay, Mohamed Zedan, Reham Eid. Fifteen years review of indications and results of renal biopsy in children from signle center in Egypt. The sixteenth congress of the international pediatric nephrology association. August 30-September 3, 2013. Shanghai, China. 45. Schimke immune-osseous dysplasia: Case report from Egypt. The 27th congress of the international pediatric association. 24-29 August, 2013. Melbourne, Australia. 46. Patients Predict the Activity and Outcome of the Disease? 47th Annual Scientific Meeting of the European Society for Paediatric Nephrology. 18-20 September, 2014. Alfandega Congress Center-Porto. 47. Outcome of Childhood Lupus Nephritis in Egypt; Single Center Study. 47th Annual Scientific Meeting of the European Society for Paediatric Nephrology. 18-20 September, 2014. Alfandega Congress Center-Porto. 48. Focal Segmental Glomerulosclerosis in a Child with Marfan Syndrome and Novel Fibrillin Gene Mutation. 47th Annual Scientific Meeting of the European Society for Paediatric Nephrology. 18-20 September, 2014. Alfandega Congress Center-Porto. 1. AM Bakr. Urine analysis: Current concepts. The second annual conference of Dept. of Pediatrics, Assuit University. Asuuit, Egypt. April 13-14, 2000. 2. AM Bakr. Renal tubular acidosis. When to suspect?. The 9th meeting of the Egyptian Society of Pediatric Nephrology and Transplantation. Menya, Egypt. January 2001. 3. Ashraf Bakr. Growth in children with chronic renal failure. The annual conference of Dept. of Pediatrics, Assuit University. Assuit, Egypt, March 10-13, 2003. 4. Ashraf Bakr. Transplantation immunology. The 11th meeting of the Egyptian Society of Pediatric Nephrology and transplantation, Alexandria, Egypt. September, 2003. 5. Ashraf M Bakr, How much does the kidney suffer in pediatric malignancies. The 2nd international conference of the Egyptian society of hematology and oncology. Cairo. March 31-April 1, 2005. 6. Ashraf M Bakr Proteinuria: Modern concept of an old problem. The VI annual congress of the Egyptian Society of Pediatric Nephrology and Transplantation, Cairo, Egypt. April 14-15, 2005. 7. Ashraf M Bakr. Pediatric Urolithiasis: Could We Prevent the Recurrence? The 12th Annual Congress Department of Pediatrics Ain Shams University, Plan Hotel, Ain El-Sokhna, March9-10, 2006. 8. Ashraf M Bakr. Thrombosis in Nephrotic Syndrome: Why, Where, What to do?. The Egyptian Society of Pediatric Hematology&Oncology. The 5th International Congress of ESPHO. Cairo-Egypt, 29-30 March, 2007. 9. Ashraf M Bakr. Approach to the Diagnosis of Hematuria. The Egyptian Society of Pediatric Nephrology & Transplantation (ESPNT). The VIIIAnnual Congress. Cairo-Egypt, 12-13 April, 2007. 10. Ashraf M Bakr. Nephrocalcinosis. Metabolic aspects of renal disease: An intensive course. Mansoura Urology and Nephrology Center, Mansoura, Egypt, January 1st ,2008. 11. Ashraf M Bakr. Care of vascular access. 27th Annual Congress of the Egyptian Society of Nephrology. February 12-15, 2008. 12. Ashraf M Bakr. Approach to the Diagnosis of Hematuria. The 14th Annual Congress of the Pediatric Department, Ain Shams University in Collaboration with the Egyptian Society of Child neuropsychiatry (ESCNP). March 19 -22 2008. 13. Ashraf M Bakr. CKD in children: State of Art. Mansoura Urology and Nephrology CKD expert meeting. July 17-18, 2008. 14. Ashraf M Bakr. Membrane failure: The end of the story. The 1st Annual Egyptian Congress on Peritoneal Dialysis. Cairo, Egypt. October 9-10, 2008. 15. Ashraf M Bakr. Acute kidney injury in children with liver cirrhosis: Global prospective. International congress of pediatric gastroenterology and nutrition. Sharm El Sheikh, Egypt. October 15-18, 2008. 16. Ashraf M Bakr. Acute kidney injury in children with liver diseases. The fourth congress of the Pan Arab Pediatric Nephrology Association. December 17-19, Sharm El Sheikh, Egypt. kingdom. The 7th International congress of The Egyptian Society of Pediatric Hematology & Oncology (ESPHO) Cairo-Egypt, 26-27 March, 2009. 19. Ashraf M Bakr. ESA hyporesponsiveness: What are we doing wrong? The Egyptian Society of Pediatric Nephrology & Transplantation (ESPNT). The 10th Annual Congress. Porto-Marina-Egypt, 23-25 April, 2009. 20. Ashraf M Bakr Renal failure in sickle cell disease. The 8th international congress of ESPHO Alexandria-Egypt, 25th & 26th March, 2010. 21. Ashraf M Bakr From Acute Renal Failure to Acute Kidney Injury. The 3rd international congress of The Egyptian Society of Pediatric Intensive Care. Advances in Pediatric Emergencies. Porto Marina, Egypt, 16-18 June, 2010. 22. Ashraf M Bakr Familial nephrotic syndrome in children in Egypt. The 3rd annual international delta pediatric conference in collaboration with Saint-Louis hospital, paris VPP University-France. 19-20 July, 2010. 23. Ashraf M Bakr From Acute Renal Failure To Acute Kidney Injury. 4th Annual International Delta Pediatric Conference. London, UK25-29 July, 2011. 24. Ashraf M Bakr PD in Children: past, present of PD in children. 2nd Pan Arab Peritoneal Dialysis Updat. 14-15 June, 2012. 25. Ashraf M Bakr Hemodialysis for children. The 2nd international hemodialysis course. Mansoura Urology and Nephrology Center, Mansoura, Egypt, 24-28 September, 2012. 27. Ashraf M Bakr How much does the kidney suffer in children with HCV infection? The 4th Conference of Pediatric Gastroenterology and Hepatology Unit, Pediatrics Department, Mansoura Faculty of Medicine. Alexandria, Egypt 7-9 February 2013. 28. Ashraf M Bakr Urine stones in children: Could we prevent the recurrence? The 6th Annual International Delta Pediatric Conference. San Petresberg, Russia, Auguest 23-26 2013. 29. Ashraf M Bakr Urinary tract infection in children: What should pediatricians know?. The 24th Annual Conference of Tabarak Hospitals. Alexandria, Egypt September 26-28 2013. 30. Ashraf M Bakr Dialysis for Children. 6th International Hemodialysis Course. ERA-EDTA CME Course. Urology & Nephrology Center, Mansoura University, December 23th -27th, 2013. 31. Ashraf M Bakr, Atypical HUS may also be preceded by diarrhea. The 14th Annual Congress of the Egyptian Society of Pediatric Nephrology & Transplantation (ESPNT). 8-10, May, 2014. Cairo, Egypt. 32. Ashraf M Bakr, Metabolic alkalosis: The missing puzzle piece. The 14th Annual Congress of the Egyptian Society of Pediatric Nephrology & Transplantation (ESPNT). 8-10, May, 2014. Cairo, Egypt. 33. Ashraf M Bakr, Urinary tract infection: What should pediatrician know? The Annual Conference of Egyptian Pediatric Association, Alexandria-Egypt, 15th – 17th May, 2014. 34. Ashraf M Bakr, Necturnial Enuresis: What should pediatrician know? 2nd Annual congress of menoufiya Pediatrics & Neonatology Society (MPNS). Alexandria-Egypt, 12th – 14th June, 2014. 35. Ashraf M Bakr, Diabetic nephropathy in type I DM. Annual conference of Mansoura Nephrology & Dialysis Unit. Internal Medicine Department Mansoura University Hospitals Endorsed by: International Society of Nephrology. 3-6 feb. 2015. 36. Ashraf M Bakr, Anemia in renal diseases. 6th Annual congress of arabin international society of nutrition, gastroenterology & infectious diseases (AISNGID).Hurghada, Egypt, 15-17 April, 2015. 36. Ashraf M Bakr,.Prevention of inherited podocytopathies: Role of genetics. 15th Annual conference of the egyptian society of pediatric nephrology and transplantation (ESPNT) Alexandria, Egypt, 22-24 of April, 2015. 38. Ashraf M Bakr, Hepatorenal Syndrome. 16th Annual conference of the egyptian society of pediatric nephrology and transplantation (ESPNT). Alexandria, Egypt, 11-12 of May, 2016. 39. Ashraf M Bakr , Diagnosis and Management of UTI in Children. Reconstructive Pediatric Urology Training Course. October 9-13, 2016, Mansoura, Egypt. 40. Ashraf M Bakr, Metabolic Alkalosis: the Missing Puzzle Piece. 39th International Congress of ESNPC. Hurgada, Egypt, 22-25 Febrauary, 2017. 41. 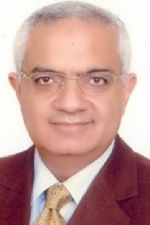 Ashraf M Bakr, Pediatric Urolithiasis: Could We Prevent the Recurrence? 8th Annual congress of Arabian International Society of Nutrition, Gastroenterology & Infectious Diseases (AISNGID). Luxor City, Egypt, 15-18 March, 2017. 42. Ashraf M Bakr, Vitamin D: The super Hero. 14th Annual Conference of Pediatric Department, Assiut University. Hurghada 29th March-1st April, 2017. 1. All congresses of the Egyptian Society of Pediatric Nephrology & Transplantation (ESPNT). 2. 27th Annual Congress of the Egyptian Society of Nephrology. Cairo, Egypt. February 12-15, 2008. 3. 42nd Annual Meeting of European Society for Pediatric Nephrology (ESPN). September 11-14, 2008 Lyon-France. 4.	International congress of pediatric gastroenterology and nutrition. October 15-18 Sharm El Sheikh, Egypt. 5. The fourth congress of the Pan Arab Pediatric Nephrology Association. December 17-19, Sharm El Sheikh, Egypt. 6. The 8th international congress of ESPHO Alexandria-Egypt, 25th & 26th March, 2010. 7. 15th International Congress of the International Pediatric Nephrology Association (IPNA) August 29- September 2, 2010. 8. 25th Congress of Department of Pediatrics Mansoura University Faculty of Medicine: Mansoura – Istanbul. Januray 25- Febrauray 5, 2012. 9. 6th Annual congress of arabin international society of nutrition, gastroenterology & infectious diseases (AISNGID).Hurghada, Egypt, 15-17 April, 2015. 10. 15th Annual conference of the egyptian society of pediatric nephrology and transplantation (ESPNT). Alexandria, Egypt, 22-24 of April, 2015. 11. 16th Annual conference of the egyptian society of pediatric nephrology and transplantation (ESPNT). Alexandria, Egypt, 11-12 of May, 2016. 13. 39th International Congress of ESNPC. Hurgada, Egypt, 22-25 Febrauary, 2017. 1. The annual meeting of American Society of Nephrology. Boston, USA, November 1993. 2. The XXI International Congress of Pediatrics. Cairo-Egypt. September 10-15, 1995. 3. The 31th meeting of European Society for Pediatric Nephrology. Laussane, Switzerland. September 1996. 4. The 1st Pan Arabic Pediatric Nephrology congress. Cairo, Egypt. December 3-6, 1996. 5. The 32nd annual meeting of European Society for Pediatric Nephrology. Athens Greece. September 27-30, 1997. 6. The 24th conference of the Union of the Middle-Eastern and Mediterranean Pediatrics Societies. Nice, France. November 17-20, 1997. 7. The 11th congress of the International Pediatric Nephrology Association. London, UK. September 12-16, 1998. 8. The 33rd annual meeting of European Society for Pediatric Nephrology. Prague, Czech Republic, September 2-5, 1999. 9. The 7th congress of the Arab child. The Union of Arab Pediatric Societies in cooperation with the Egyptian Pediatric Association. Cairo, Egypt. November 3-5, 1999. 10. The 2nd international conference on Population & Molecular Genetics. Cairo, Egypt. November 30-December 2, 1999. 11. The 1st congress of African Pediatric Nephrology Association (AFPNA). Cairo, Egypt. March 1-3, 2000. 12. The 34th annual meeting of European Society for Pediatric Nephrology. Helsinki, Finland. June 18-20, 2000. 13. The 5th workshop of International Enuresis Research Center. Ghent, Belgium, September 22-23, 2000. 14. The 2nd workshop of International Children Continence Society. Ghent, Belgium, September 23-24, 2000. 15. The 12th congress of the International Pediatric Nephrology Association. Seattle, USA. September 3-5, 2001. 16. The 27th conference of the union of the Middle-Eastern and Mediterranean Pediatrics Societies. Alicante, Spain. September 19-21, 2002. 17. The 35th annual meeting of The American Society of Nephrology. Philadelphia, USA November 1-4, 2002. 18. The world congress of nephrology. Berlin, Germany. June 8-13, 2003. 19. The XLI ERA-EDTA congress. Lisbon, Portugal. May 15-18, 2004. 20. The 13th congress of the International Pediatric Nephrology Association. Adelaide, Australia. August 29, September 2, 2004. 21. The 39th annual meeting of European Society for Pediatric Nephrology. Istanbul, Turkey. September 10-13, 2005. 22. The 38th annual meeting of The American Society of Nephrology. Philadelphia, USA November 10-13, 2005. 23. The 7th congress of International Society of Tropical Pediatrics. Shrarm EL-Sheikh-Egypt. November 27 – December 1, 2005. 24. The 40th annual meeting of European Society for Paediatric Nephrology. Altavilla Milicia – Italy, 7-10 October 2006. 25. The 39th ASN annual meeting. San Diego, California, 16-19, 2006. 26. The 9th Congress of the African Association of Nephrology (AFRAN) & 2nd Congress of the Sudanese Society of Kidney Diseases & Transplantation (SSKDT) in Collaboration with the International Society of Nephrology (ISN). Khartoum-Sudan, 2-5 February 2007. 27. The Egyptian Society of Pediatric Hematology&Oncology. The 5th International Congress of ESPHO. Cairo-Egypt, 29-30 March, 2007. 28. The International Pediatric Urology Workshop The Egyptian Urological Association (EUA) section of Pediatric Urology in collaboration with Pan African Uorologial Surgeon’s Association (PAUSA).Alexandria-Egypt, 4-6 July, 2007. 29. The 14th Congress of the International Pediatrics Nephrology Association. Budapest, Hungary, 31 August-4 September, 2007. 30. The ASN 40th Annual Meeting and Scientific Exposition. San Francisco, California, 2-5 November, 2007. 31. 27th Annual Congress of the Egyptian Society of Nephrology. Cairo, Egypt. February 12-15, 2008. 32. 21st Scientific Congress of the Egyptian Society for Neonatal and Preterm Care (ESNPC). Sharm Al Sheikh, Egypt. 27 February-1 March, 2008. 33. Annual Neonatology Conference NICU-Mansoura University Children’s Hospital. Port-Saed-Egypt. April, 2-4 2008. 34. 27th Annual Congress of the Egyptian Society of Nephrology. Cairo-Egypt. February 12-15, 2008. 36. The 12th congress of International society of peritoneal dialysis. June 10-13, 2008. Istanbul, Turkey. 37. The 5th FME Middle east and Africa Nephrology Forum. Amsterdam, Netherlands 5-7 July 2008. 38. European Society of Pediatric Nephrology. 42nd Annual Meeting ESPN. September 11-14, 2008 Lyon-France. 39. The 1st Annual Egyptian Congress on Peritoneal Dialysis. October 9-10, 2008, Cairo, Egypt. 40.	International congress of pediatric gastroenterology and nutrition. October 15-18 Sharm El Sheikh, Egypt. 41. The fourth congress of the Pan Arab Pediatric Nephrology Association. December 17-19, Sharm El Sheikh, Egypt. 42. The 7th International congress of The Egyptian Society of Pediatric Hematology & Oncology (ESPHO) Cairo-Egypt, 26-27 March, 2009. 43. American Society of POediatric Nephrology, Baltimore Convention Center and Hilton Baltimore Convention Center Hotel, May 2-5,2009. 44. The 8th international congress of ESPHO Alexandria-Egypt, 25th & 26th March, 2010. 45. The 1st International Scientific Congress of Pediatric Hepatology and Gastroenterology Unit-Mansoura University Children's Hospital. Louxor-Egypt. 8-11 December, 2010. 46. The 4th Annual International Delta Pediatric Conference. 25-29 July, 2011. 47. Kidney week 2011: 44th Annual Meeting of American Society of Nephrology. Philadelphia, PA, USA 6/11-13/11/2011. 48. The 25th Congress of Department of Pediatrics Mansoura University Faculty of Medicine: Mansoura – Istanbul. Januray 25- Febrauray 5, 2012. 49. The 29th Scientific Congress of the Egyptian Society for Neonatal and Preterm Care. Taba, Egypt. February 8-11, 2012. 50. The 49th ERA-EDTA Congress held in Paris, France, May 24-27. 2012. 51. The 2nd Pan Arab Peritoneal Dialysis Updat. Mansoura, Egypt. 14-15 June, 2012. 53. European Academy of Pediatric Societies (EAPS) October 5-9, 2012 Istanbul, Turkey. 55. 31th International Congress of ESNPC. 20-23 February – Marsa Alam, Red Sea- Egypt. 56. AFME Paediatric Pneumococcal Disease Summit 2013. CAPE TOWN, South Africa, 15-17 March, 2013. 57. 46th Annual Meeting of the European Society for Pediatric Gastroenterology, Hepatology and Nutrition, London-United Kingdom 8-11 May 2013. 58. The World Congress of Nephrology. Hong Kong 31 May-4 June 2013. 60. 51th ERA-EDTA Congress Amsterdam, The Neterands, May31st June 3rd, 2014. 61. 47th Annual Scientific Meeting of the European Society for Pediatric Nephrology. 18-20 September, 2014. Alfandega Congress Center-Porto, Portugal. 62. 17th Congress of the European Society for Organ Transplantation. 13-16 September 2015, Square, Brussels, Belgium. 64. The first Steering Committee Meeting to be held in Ankara on 12 May 2017. 65. Conference on higher education and refugees. In Mediterranean region. 26-27 sept., 2017, Beirut, Lebanon. 1. The 16th annual conference of Dept. of Pediatrics of Mansoura University. Mansoura. July 13-14, 1995. 2. The 3rd national conference of the Egyptian Society of Pediatric Gastroenterology and Nutrition. Mansoura. January 4, 1996. 3. The 3rd annual conference of Dept. of Pediatrics of Ain Shams University. Cairo. April 20-21, 1996. 4. The 7th annual conference of Dept. of Pediatrics of Zagazig University. Zagazig. June 6-7, 1996. 5. The 17th annual conference of Dept. of Pediatrics of Mansoura University. Mansoura. July, 1996. 6. The annual scientific conference of Mansoura Faculty of Medicine. Mansoura. November, 1996. 7. The 16th annual meeting of the Egyptian Society of Nephrology. Cairo. February, 1997. 8. The 4th annual conference of Dept. of Pediatrics of Ain Shams University. Cairo. April 3-4, 1997. 9. The 7th National Conference of the Egyptian Pediatric Association in Alexandria. Alexandria. May 14-16, 1997. 10. The 8th annual conference of Dept. of Pediatrics of Zagazig University. Zagazig. June 25-27, 1997. 11. The 18th annual conference of Dept. of Pediatrics of Mansoura University. Mansoura. July, 1997. 12. The annual conference of Mansoura Faculty of Medicine. Mansoura. November 20-21, 1997. 13. The 17th annual meeting of the Egyptian Society of Nephrology. Luxor. February, 1998. 14. The 5th national conference of the Egyptian Society of Pediatric Gastroenterology and Nutrition. Cairo. March 19, 1998. 15. The annual conference of Dept. of Pediatrics of Tanta University. Tanta. March 26-27, 1998. 16. The annual conference of Mansoura Faculty of Medicine. Mansoura. December 3-4, 1998. 17. The 6th national conference and second pan Arab conference of the Egyptian Society of Pediatric Gastroenterology. Luxor. March 9-12, 1999. 18. The 1st meeting of the Egyptian Society of Pediatric Nephrology and Transplantation. Cairo. April, 1999. 19. The 19th annual conference of Dept. of Pediatrics of Mansoura University. Mansoura. May 5-7, 1999. 20. The 2nd meeting of the Egyptian Society of Pediatric Nephrology and Transplantation Cairo. June, 1999. 21. The annual conference of Dept. of Pediatrics of Tanta University. Tanta. July 8-9, 1999. 22. The 3rd meeting of the Egyptian Society of Pediatric Nephrology and Transplantation. Alexandria. September, 1999. 23. The 4th meeting of the Egyptian Society of Pediatric Nephrology and Transplantation. Mansoura. November, 1999. 24. The 6th annual congress of Dept. of Pediatrics of Ain Shams University. Cairo. February 10-11, 2000. 25. The 1st annual congress of the Egyptian Society of Pediatric Nephrology and Transplantation. Cairo. February 17-18, 2000. 26. The 4th annual conference of the Egyptian Group of Pediatric Oncology. Mansoura. March 9, 2000. 27. The second scientific conference of Dept. of Pediatrics, Assuit University. Assuit. April 13-14, 2000. 28. The 5th meeting of the Egyptian Society of Pediatric Nephrology and Transplantation. Cairo. May 4, 2000. 29. The 6th meeting of the Egyptian Society of Pediatric Nephrology and Transplantation. Cairo, June 6, 2000. 30. The 11th annual conference of Dept. of Pediatrics, Zagazig University. Zagazig. July 24, 2000. 31. The annual conference of Gharbia Pediatric Club. Port-Said. August 17-18, 2000. 32. The 7th meeting of the Egyptian Society of Pediatric Nephrology and Transplantation. Alexandria, September, 2000. 33. The 9th international conference of the Egyptian Society for Infection Control. Mansoura. October 24-26, 2000. 34. The 8th meeting of Egyptian Society of Pediatric Nephrology and Transplantation. Mansoura. November 11, 2000. 35. The 20th conference of Dept. of Pediatrics. Mansoura Faculty of Medicine. Sharm El-Sheikh. November 20-30, 2000. 36. The 9th meeting of the Egyptian Society of Pediatric Nephrology and Transplantation. Menya. January, 2001. 37. The II annual congress of the Egyptian Society of Pediatric Nephrology and Transplantation. Cairo. February 22-23, 2001. 38. The 3rd annual scientific conference of Dept. of Pediatrics, Assuit University. Assuit. March, 2001. 39. The first regional meeting of the Egyptian Association of Neonatology. Mansoura. March 29, 2001. 40. The 10th annual meeting of the Egyptian Society of Pediatric Nephrology and Transplantation. Cairo. April 26, 2001. 41. The annual conference of Mansoura Faculty of Medicine. Mansoura. October 31–November 2, 2001. 42. The 8th annual congress of Dept. of Pediatrics, Ain-Shams University. Cairo, March 7-8, 2002. 43. The III annual congress of the Egyptian Society of Pediatric Nephrology and Transplantation. Cairo, April 25-26, 2002. 44. The annual conference of Gharbia Pediatric Club. Port-Said. August 22-23, 2002. 45. Mansoura Congress (I) on Allergy and Immunology. Mansoura. October 2-4, 2002. 46. The annual conference of Mansoura Faculty of Medicine. Mansoura. October 15-17, 2002. 47. The 9th annual congress of Dept. of Pediatrics, Ain-Shams University. Cairo. March 6-7, 2003. 48. The 5th annual conference of Dept. of Pediatrics, Assuit University. Assuit. March, 10-13, 2003. 49. The IV annual conference of the Egyptian Society of Pediatric Nephrology and Transplantation. Cairo. April 24-25, 2003. 50. The 11th meeting of the Egyptian Society of Pediatric Nephrology and Transplantation. Alexandria. September, 2003. 51.	he annual conference of Gharbia Pediatric Club. Port-Said. August 23-24, 2003. 52. The annual conference of Mansoura Faculty of Medicine. Mansoura. December 2, 2003. 53. The 13th meeting of the Egyptian Society of Pediatric Nephrology and Transplantation. Mansoura. December, 2003. 54. The 14th meeting of the Egyptian Society of Pediatric Nephrology and Transplantation. Cairo. January 22-23, 2004. 55. The 10th annual conference of Dept. of Pediatrics, Ain-Shams University. March 11-12, 2004. 56. The annual conference of Mansoura Faculty of Medicine. Mansoura. March 2004. 57. The V annual congress of the Egyptian Society of Pediatric Nephrology and Transplantation. Cairo. April 15-16, 2004. 58. The 5th annual conference of Gharbia Pediatric Club. Port-Said. August 12-13, 2004. 59. The 15th meeting of the Egyptian Society of Pediatric Nephrology and Transplantation. Cairo. October, 2004. 60. The Egyptian Society for Neonatal and Preterm Care (ESNPC) Sharm El-Sheikh, February 10-12, 2005. 61. The 11th annual conference of Dept. of Pediatrics, Ain-Shams University. March 3-4, 2005. 62. The 2nd international conference of the Egyptian Society of hematology and oncology. Cairo. March 31-April 1, 2005. 63. The VI annual congress of the Egyptian Society of Pediatric Nephrology and Transplantation. Cairo. April 14-15, 2005. 64. The 22nd conference of Dept. of Pediatrics. Mansoura Faculty of Medicine. Port Said. July 21-22, 2005. 65. The 16th meeting of the Egyptian Society of Pediatric Nephrology and Transplantation. Mansoura. December 8, 2005. 66. The 18th Annual Congress of Dept. of Pediatrics of Cairo Faculty of Medicine. Cairo March, 2-3, 2006. 67. The 12th Annual Congress of the Department of Pediatrics in Callaboration with Ain Shams Egyptian Pediatric Society. Ain El Sokhna. March 9-19, 2006. 68. The Fourth International Congress of The Egyptain Society of Pediatric Hematology Oncology (ESPHO). Cairo, 30-31 March, 2006. 69. The V annual congress of the Egyptian Society of Pediatric Nephrology and Transplantation. Cairo. May, 4-5 2006. 70. The 16th Annual Conference of Pediatrics Department, Zagazig University. Port-Said, 12-14 July, 2006. 71. The 7th Annual Conference of Gharbia Pediatric Club Society. Port-Said, 17-18 August, 2006. 72. The 17th meeting of the Egyptian Society of Pediatric Nephrology and Transplantation. Cairo. December 21, 2006. 73. The Egyptian Society of Pediatric Nephrology & Transplantation (ESPNT). The VIII Annual Congress. Cairo-Egypt, 12-13 April, 2007. 74. The Egyptian Society of Pediatric Nephrology & Transplantation (ESPNT). Cairo-Egypt, 6 Decmper, 2007. 75. The 14th Annual Congress of the Pediatric Department, Ain Shams University in Collaboration with the Egyptian Society of Child Neuropsychiatry (ESCNP). 19th -22nd March, 2008. 76. The 4rd Pediatric & Neonatology Annual Conference Behira Medical Syndicate. April 11, 2008. 77. The IX Annual Congress of the Egyptian Society of Pediatric Nephrology & Transplantation. Cairo, May 1-2, 2008. 78. Mansoura Urology and Nephrology CKD expert meeting. July 17-18, 2008. 79. The 23rd Scientific Congress of the Egyptian Society for Neonatal and Preterm Care (ESNPC). Marsa Alam-Egypt. February, 25– 28, 2009. 80. 10th Annual Congress The Egyptian Society of Pediatric Nephrology & Transplantation (ESPNT). The. Porto-Marina-Egypt, 23-25 April, 2009. 82. The first International & 25th Annuual Conference of Pediatrics Department, Mansoura Faculty of Medicine: Hematological & Endocrinal Manifestations of Systemic Diseases. Mansoura, Egypt 28-30 Januray 2012, Istanbul, Turkey 1-5 February, 2012. 83. The 12th Annual Congress of the Egyptian Society of Pediatric Nephrology & Transplantation (ESPNT). 18-20 April, 2012, Sofitel El-Guizera, Cairo, Egypt. 85. The 26th Annuual Conference of Mansoura Pediatrics Department, Mansoura Faculty of Medicine: Pediatrics Updates. Mansoura, Egypt 23-24 January 2013. 86. The 4th Conference of Pediatric Gastroenterology and Hepatology Unit, Pediatrics Department, Mansoura Faculty of Medicine. Alexandria, Egypt 7-9 February 2013. 87. The 6th Annual International Delta Pediatric Conference. San Petresberg, Russia, Auguest 23-26 2013. 89. The 27th Annuual Conference of Mansoura Pediatrics Department, Mansoura Faculty of Medicine: Pediatrics Updates. Mansoura, Egypt 26-28 January 2014. 90. The 14th Annual Congress of the Egyptian Society of Pediatric Nephrology & Transplantation (ESPNT). 8-10, May, 2014. Cairo, Egypt. 91. The Annual Conference of Egyptian Pediatric Association, Alexandria-Egypt, 15th – 17th May, 2014. 92. 7th Annual international Delta Pediatric Conference, 26th -28th June, 2014, Alexandria, Egypt. 93. 3rd Annual Summer Scientific meeting of Alexandria Nephrology Dialysis Transplantation. 26-27 June. Alexandria, Egypt. 94. 15th International Congress of the International Pediatric Nephrology Association (IPNA) August 29- September 2, 2010. 95. 25th Congress of Department of Pediatrics Mansoura University Faculty of Medicine: Mansoura – Istanbul. Januray 25- Febrauray 5, 2012. 96. Pediatric Nutrition: Updates. Delta Scientific Pediatric Society Conference (DSPS). 9-11 September, Alexandria-Egypt. 97. Annual conference of Mansoura Nephrology & Dialysis Unit. Internal Medicine Department Mansoura University Hospitals Endorsed by: International Society of Nephrology. 3-6 feb. 2016. 99. New trends in accreditation of medical schools. 16 November, 2016. Faculty of Medicine, Mansoura, Egypt. 100. Ashraf M Bakr, Vitamin D: The super Hero. 14th Annual Conference of Pediatric Department, Assiut University. Hurghada 29th March-1st April, 2017. 1. Mansoura University Incentive Award in Medical Sciences, 1998 (offered by Mansoura University). 2. Prize of the Best Poster in the 4th Egyptian-French Conference on Immunology and Molecular Biology, 1998. 3. The best doctor of the year, 2001 (offered by the Egyptian Medical Syndicate). 4. Mohamed Fakhry Prize for Pediatrics, 2004 (offered by the Egyptian Scientific Academy and Research). 5. Nomination by the Egyptian Scientific Academy and Research as representative of Egypt in TWAS prize, 2005. 6. The best poster presentation in 14th Congress of the International Pediatric Nephrology Association, August 2007. 7. Inclusion in the 2008 Edition of Who’s in the World. 8. Prize of the professor Yahia El-Gamal in Pediatrics - the academic research scientific-Egypt (2011). 9. Mansoura University Award for Academic Excellence in Medical Sciences, 2014 (offered by Mansoura University). 1. M. Hafez, Z El-Morsy, A Sheishi, S Howas, A Abdel Basset, H El-Meadawy. Dysfunction of immunoregulatory mechanism in respiratory syncytial virus bronchiolitis. Egyptian J of Immunol 3 (1): 159- 166 (1996). 2. AA Abdalla, M El-Ziny, A Shalltout, AM Bakr and E Abu-Hashem. Disorders of growth and GH-IGF-1 axis in children with cirrhosis. J Egyptian Society of Endocrinology, Metabolism and Diabetes. 31 (1): 40-51 (1997). 3. Bakr AM and EL-Chennawy F. HLA-DRB1 and DQB1 alleles in Egyptian children with steroid-sensitive nephrotic syndrome. Pediatr Nephrol 12:234-237 (1998). 4. A. Abdel Khalek Abdel Razek, A.Y. Kandeel, and A.M. Abdel Basset. MR features of lissencephaly with clinical correlation. Rivista di Neuroradiology 11: 805-809 (1998). 5. Y Al-Tonbary AM Bakr, O Salama, and MM Hafez. Prognostic and therapeutic values of granulocyte-colony stimulating factor (G-CSF) in children with lymphatic malignancies. Haema. 2 (1): 26-30 (1999). 6. Bakr AM, Abdallah AF, El-Haggar M, and Amer T. Renal hemodynamics evaluated by Dupplex Doppler ultrasonography in children with liver cirrhosis. Pediatr Nephrol 13: 854-858 (1999). 7. 8-Gehan A. Fathy, Ayman M. Hammad, Manal A. Fathy, Ashraf M Bakr, and M El-Arman. Glutathione reductase in steroid responsive nephrotic syndrome. Kasr El-Aini Medical Journal 6 (3): 429-435 (2000). 8. Asharf Bakr, Tarek Dosoky, Gehan Fathy, Mohamed Atwa, Magdy Zedan, Manal Fathy, and Zakaria El-Khaiai. Eosinophil cationic protein and skin prick tests in children with steroid-responsive nephrotic syndrome. Geget 2: 29-34 (2002). 9. A.M. Bakr, A.F. Abdalla, H. El-Marsafawy, I. Abu-Hashem, M. Ezz El-Regal, T. Amer, M.K. Abdel-Khalik, H. Mostafa, and H.H. A-Kader. Plasma endothelin-1 concentrations in children with cirrhosis and their relationship to renal function and the severity of portal hypertension. J Pediatric Gastroenterol Nutr 35: 149-153 (2002). 10. Ayman Hammad, Ashraf Bakr, Gihan Fathy, Manal Fathy, and Rizk El-Baz. Serum nitric oxide in post-streptococcal acute glomerulonephritis. Geget, 2 (2): 33-36 (2002). 11. Ashraf M. Bakr, Ali Shaltout, Ayman Hammad, Amr Sarhan, and Mohamed Abd El-Latef. Oxidative status in children with post-streptococcal acute glomrulonephritis. J. Med. Sci. 2 (5-6): 213-216 (2002). 12. A M Bakr, M Shokeir, F El-Chenawy, F El-Husseni, A Abdel-Rahman, R El-Ashry. Tumor necrosis factor-alpha production from mononuclear cells in nephrotic syndrome. Pediatr Nephrol 18(6): 516-520 (2003). 13. Samir Abu Alhassan, Magdy El-Ziny, Amr Sarhan, Ashraf Bakr, Ayman Hammad, Nehad Shalaby and Mohamed Ragab. Bone mineral density and bone turnover markers in children with nephrotic syndrome. Geget 3 (2): 11-16 (2003). 14. Ayman Hammad, Amr sarhan, Ashraf Bakr, Hesham Abdel- Hady and Farha El-Chenawi. Soluble intracellular adhesion molecule 1 (sICAM-1) in post-streptococcal acute glomerulonephritis. Geget 3 (2): 17-22 (2003). 15. Ashraf M Bakr, Samia Hawas, Sabry Slem, Abdel-Hamed Abdel Moniem, Tarek Ghatab, Mohamed Tawfik. Gene expression of 5-lipoxygenase and leukotriene A4 hydrolase in children with primary nephrotic syndrome. Pediatr Nephrol 19: 396-399 (2004). 16. Ashraf M Bakr. Bone mineral density and bone turnover markers in children with renal failure. Pediatr Nephrol 19:1390-1393 (2004). 17. Mohamed Ragab, Amr Sarhan, Ashraf Bakr, Ayman Hammad, Ayman Ragab, Ahmad Refaey. Maintenance intravenous iron sucrose therapy in children under regular hemodialysis. Geget. 11-12 (2004). 18. Ashraf M Bakr, Farha El-Chenawi, Fatma Al-Husseni. HLA alleles in frequently relapsing steroid-dependent and-resistant nephrotic syndrome in Egyptian children Pediatr Nephrol 20:159-162 (2004). 19. Ashraf M Bakr. Epidemiology treatment and long term outcome of childhood systemic lupus erythematosus in Egypt. Pediatr Nephrol 20:1081–1086 (2005). 20. Magdy A. El-Ziny1, Youssef A. Al-Tonbary, Osama S.Salama, Ashraf M. Bakr, Hala Al-Marsafawy1, & Ashraf A. El-Sharkawy. Low turnover bone disease in Egyptian children with acute leukemia. Hematology; 10(4): 327–333 (2005). 21. Ashraf Abdel-Basset, Amr Sarhan, Ayman Hammad, Mohamed Ragab, Mohamed EL-Naggar, Mohamed Azmy Asymptomatic bacteriuria among primary school children in Dakahlia governorate Urinary abnormalities in asymptomatic primary school Egyptian children. The Journal of Pediatric Club JPC; 5:85-8 (2005)3. 24. AM Bakr, LA Mahmoud, FA El-Chenawi, AA Salah. HLA-DRB1 alleles in children with post-streptococcal acute glomrulonephritis. Pediatr Nephrol (2007) 22(3):376-379. 25. Ashraf Abdel-Basset, Amr Sarhan, Ayman Hammad, Mohamed Ragab, Osama S Salama, Fatma Al-Husseni, Mohamed Azmy. Asymptomatic urinary abnormalities among primary school children in Egypt. World J Pediatr (2007)3(3):214-217. 26. Magdy A. El-Ziny, Youssef A. Al-Tonbary, Osama S. Salama, Ashraf Bakr, Hala Al-Marsafawy, Ashraf A. Elsharkawy. Low bone mass in children with malignant lymphoma. Hematology and Oncology (2007) 24(8): 577- 585. 27. Ashraf Bakr, Soheir Yehia, Doaa El-Ghannam, Ayman Hammad, Mohamed Ragab, Zakaria Al-Morsy. NPHS2 mutations. The Indian J Pediatr. (2008) 75:585-577. 28. Mustafa Amr, Ashraf Bakr, Abdel Hady El Gilany, Ayman Hammad, Ahmed El-Refaey, Atef El-Mougy. Multi-method assessment of behavior adjustment in children with CKD. Pediatr Nephrol. (2009)24(2):341-347. 29. Bakr. A.A.K. Abdel Razek, A.Y. Kandell, L.G. Elsorogy, A. Elmogy, Disorders of Cortical Formation: MR Imaging Features. AJNR Am J Neurotadiol (2009) 30:4-11. 32. Ahmed M El-Refaey, Ashraf Bakr, Ayman Hammad, Atef Elmougy, Fatma El-Houseeny, Ashraf Abdelrahman, Amr Sarhan. Primary focal segmental glomerulosclerosis in Egyptian children: 10-year-single centre experience. Pediatr Nephrol (2010) 25(7):1369-1373. 33. Mostafa Amr, Dahoud Raddad, Fatima El-Mehesh, Ashraf Bakr, Khalid Sallam, Tarek Amin. Comorbid psychiatric disorders in Arab children with Autism spectrum disorders. Autism Spectrum Disorders. 6 (2012) 240–248. 34. El-Refaey AM, Abdelbasset A, Atia G, Matar M, Awad SI, Yahya RS. Duodenal Microbasis in Children on Regular Hemodialysis. Saudi Journal of Kidney Diseases and Transplantation (2012) 23(6):1278-80. 36. Hammad A, Mosaad Y, Elhanbly S, Youssef H, El Refaaey A, Elhusseini F, Bakr A. Urinary neutrophil gelatinase-associated lipocalin as a marker of severe lupus nephritis in children. Lupus (2013) 22(5):486-91. 37. Ayman Hammad, Sohier Yahia, Mona Samy Gouida, Ashraf Bakr, Reham M. El-farahaty. Low expression of glucocorticoid receptors in children with steroid-resistant nephrotic syndrome. Pediatr Nephrol, (2013), 28(5):759-63. 38. El-Refaey AM, Elsayed RM, Sarhan A, Bakr A, Hammad A, Elmougy A, Aboelyazeed AY. Sleep quality assessment using polysomnography in children on regular hemodialysis. Saudi Journal of Kidney Diseases and Transplantation (2013) 24(4):714-8. 39. Amr M, El-Gilany AH, Bakr A, El Sheshtawy E. Assessing the intelligence of children with chronic kidney diseases. Saudi J Kidney Dis Transpl. )2013( 24(1):67-71. 42. Bakr A, Laimon W, El-Ziny M, Hammad A, El-Hawary A, Elsharkawy A, El-Refaey A, Salem N, El-Mougy A, Zedan M, Aboelenin H, Eid R, Sarhan A. The emergence of systemic lupus erythematosus in hypothyroid patients: two case reports and mini review. Lupus. 2014 Feb 25. 44. Ashraf Bakr1, Youssef Al-Tonbary2, Ghada Osman3, Rasha El-Ashry2. Renal complications of beta-thalassemia major in children. Am J Blood Res 2014;4(1):1-6. 45. Bakr A, Eid R1, Sarhan A, Hammad A, El-Refaey AM, El-Mougy A, Zedan MM, ElHusseini F, El-Rahman AA. Fifteen years review of indications and results of renal biopsy in children from a single center in Egypt". Saudi Journal of Kidney Diseases and Transplantation. 2014 Nov;25(6):1321-1327. 46. Magdy zedan, Ashraf Bakr, Basma Shouman, Hosam Zaghloul, Mohammad Al-Haggar, Mohamed Zedan, Amal Osman, Single nucleotide polymorphism of IL4C-590T and IL4RA 175V and immunological parameters in Egyptian asthmatics with different clinical phenotypes. Journal of Allergy & Therapy. August 19, 2014 5(5):189. 47. Atef Elmougy, Amr Sarhan, Ayman Hammad, Ahmed El-refaey, Mohammed Zedan, Riham Eid, Wafaa Limon, Ashraf Abd Elrahman, Fatma Elhussieni, Ashraf Bakr. Lupus Nephritis in Egyptian Children; a 16-year Experience. Journal of Nephrology. 2015 Feb;28(1):131. 48. Schimke immune-osseous dysplasia: Case report from Egypt. Saudi Journal of Kidney Diseases and Transplantation. Saudi J Kidney Dis Transpl. 2015 Sep-Oct;26(5):987-91. 49. Ashraf Bakr, Riham Eid. Haemolytic Uremic Syndrome in Children (1955-2015): A 60 Years Journey. J. of Nephrology Res. 2015 October 1(2): 69-79. 50. Mohamed Al-Haggar, Ashraf Bakr, Yahya Wahba, Pual J. Coucke, Fatma El-Hussin, Mona Hafez, Riham Eid, Abdel-Rahman Eid, Amr Sarhan, Ali Shaltout, Ayman Hammad, Sohier Yahia, Ahmed El-Rifaie, Dina Abdel-Hadi. A Novel fibrillin-1 mutation in an Egyptian marfan family: A proband showing nephrotic syndrome due to focal segmental glomerulosclerosis (case report). Saudi Journal of Kidney Diseases and Transplantation. January 2017.28(1):141-148. Publisher:	Dept. of Pediatrics, Mansoura University, 2010. Publisher:	Dept. of Pediatrics, Mansoura University, 2014. 2.2.1	Lupus nephritis: Frontiers and Challenge. 2.2.2	Autoimmune Diseases: Symptoms, Diagnosis and Treatment. 2.2.3	Nanotechnology and Advances in Medicine.